My work in the world of winter sports is definitely one of my greatest passions. Since 2013 I have been exploring the mountains for you, researching the latest après-ski hits and presenting the most beautiful regions of the Alps. 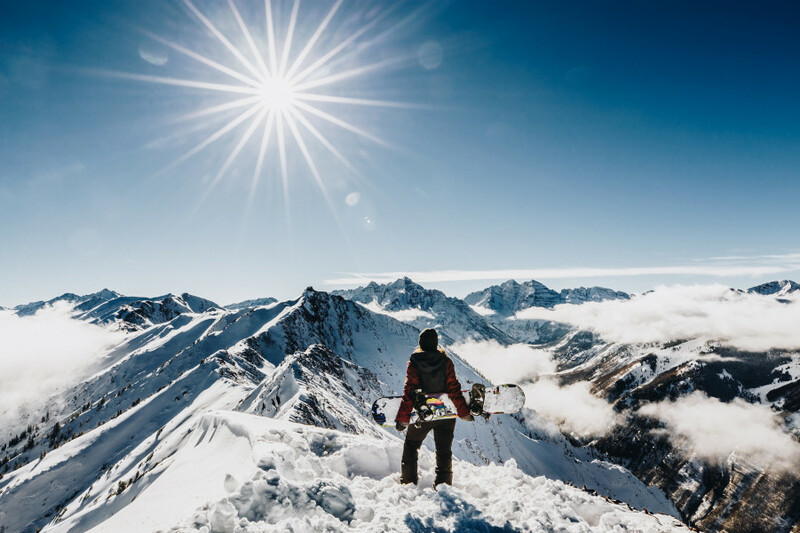 Aspen Snowmass is one of the most famous ski resorts in the world – for a reason. Amidst the Colorado Rockies, four mountains offer chequered terrain, perfect slopes, and amazing snow. Let us tell you what makes the famous resort so special, and find out what expects you there in 2018/19 season besides demanding powder runs and legendary apres-ski. © Tamara Susa The view from the Highland Bowl in Aspen Highlands over the Maroon Bells is breathtaking. Four mountains, the Rocky Mountains' famous Champagne Powder, and valley towns Aspen and Snowmass make sure that winter sports enthusiasts of all kinds get their money's worth. 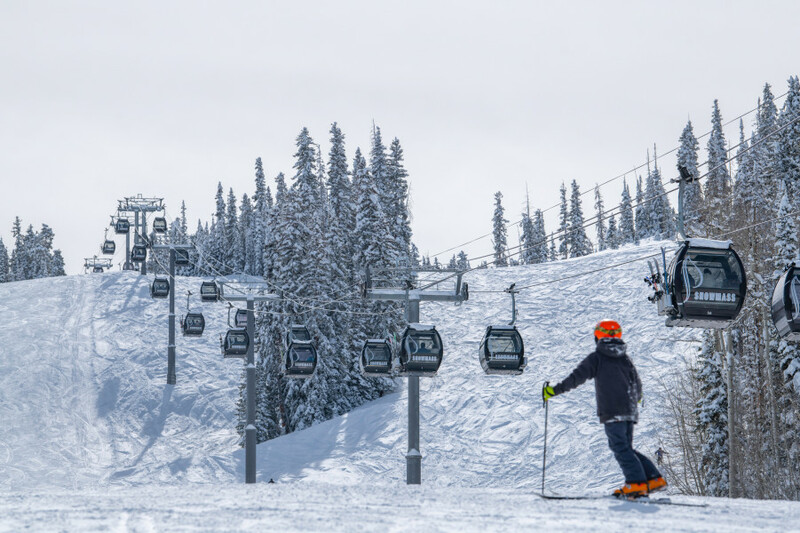 The area is so expansive you won't have to go on a single run twice throughout your whole ski trip. 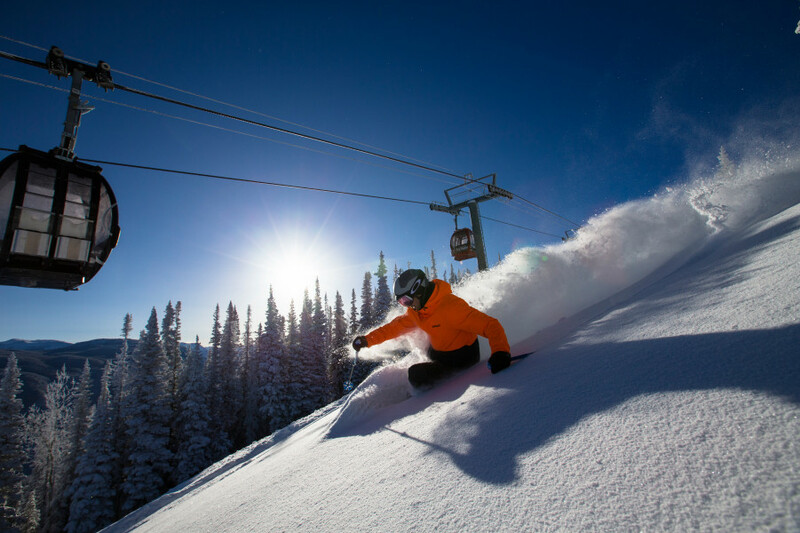 Ski resorts Snowmass, Aspen Mountain, Aspen Highlands, and Buttermilk feature easy beginner's runs as well as challenging bowls, terrain parks for snowboarders and freestylers, legendary apres-ski locations, and stunning views of the surrounding mountains. You can get an adult day pass valid at all four resorts in 2018/19 starting from $60. © Daniel Bayer From Snowmass Base Village, Elk Camp Gondola takes you right into the ski resort. Snowmass is the largest and most varied of the four ski resorts. 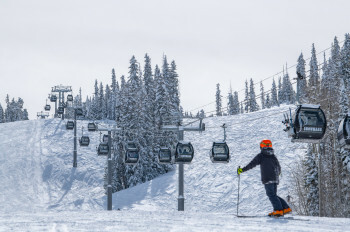 Approximately 30% of the resort are covered in Double Black Diamond runs. Hence, experts will find a bunch of challenges. Families, on the other hand, will appreciate the nicely set up children's areas as well as Treehouse Kids' Adventure Center. Furthermore, three terrain parks have a lot in store for freestylers. The area is so expansive you can be sure to spend a fun week here without getting bored. Apres-ski and off-piste adventure is waiting for the guests at Elk Camp. It comprises a number of restaurants as well as a tubing facility and swift Breathtaker Coaster. 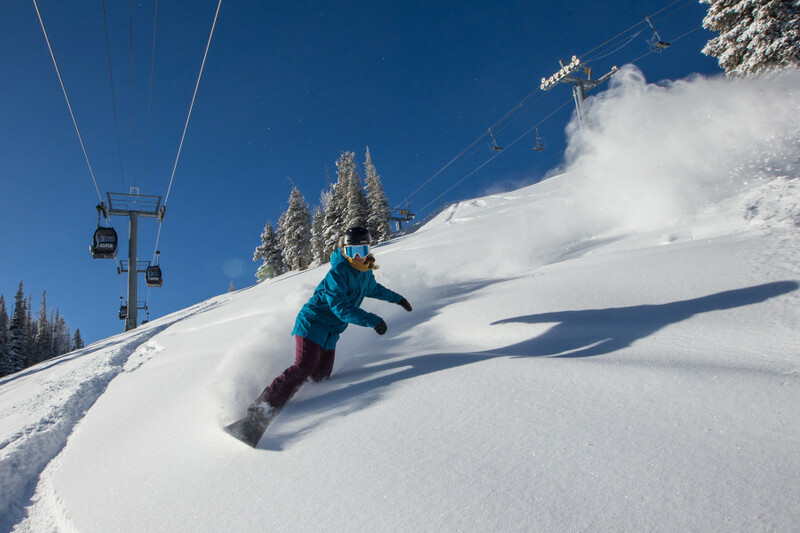 © Aspen Skiing Company Pure powder pleasure awaits you at Aspen Mountain. Aspen Mountain has been known as world cup venue for decades. In 2017, it hosted the final of Audi FIS World Cup. Demanding runs,steep slopes, and off-piste terrain are especially tempting for ambitious winter sportsmen and powder fans. If you are looking for a new challenge, this is the place to go. It is also the spot for those in search of a good party. Ajax Tavern near Silver Queen Gondola's base station is one of the most famous apres-ski venues in Aspen. © Aspen Skiing Company The Highland Bowl is Aspen Highland's legendary powder area. Aspen Highlands ski resort is located between Aspen Mountain and Buttermilk. It is filled with intermediate and expert runs featuring a stunning view of the Maroon Bells. 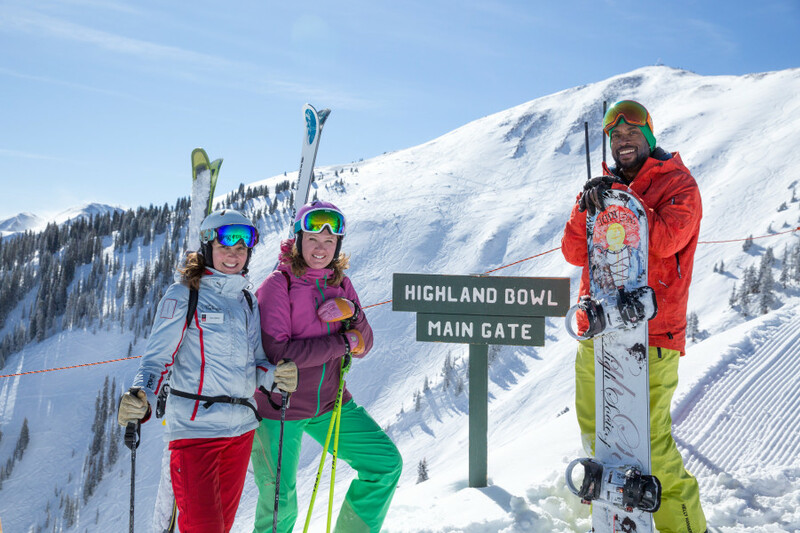 One of them is the infamous Highland Bowl, a fascinating off-piste area right beneath Highland Peak (12,392 ft). At Cloud Nine Alpine Bistro, locals and international guests meet for apres-ski. Every now and then you can even spot a celebrity here. © Jeremy Swanson Buttermilk is the perfect spot for children to make their first steps on skis. 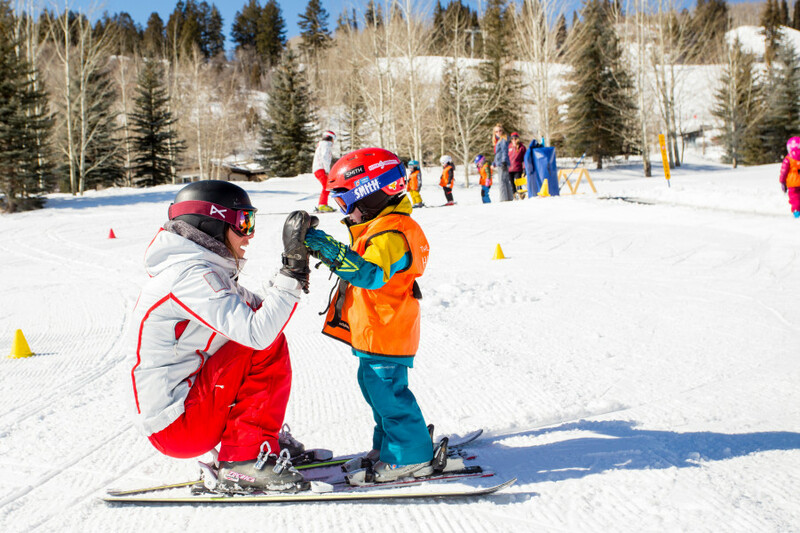 Buttermilk ski resort is known to be especially family friendly, featuring great beginner's areas, thus representing the more quiet side of Aspen. The new kid's area Hideout right by the base station offers easy practice runs and interactive playgrounds. However, advanced skiers will find the odd run here as well, for example at the Tiehack area. Moreover, you get to enjoy an impressive view of nearby Pyramid Peak. Freestylers and snowboarders can look forward to two terrain parks: beginners practise their first moves at Ski & Snowboard Schools Park, while experts live it up at Buttermilk Park with over 100 obstacles, a superpipe, and the X Games Slopestyle Course. © Tamara Susa Impressive performances at the X Games 2018. Of course, Aspen is also known for its legendary events. 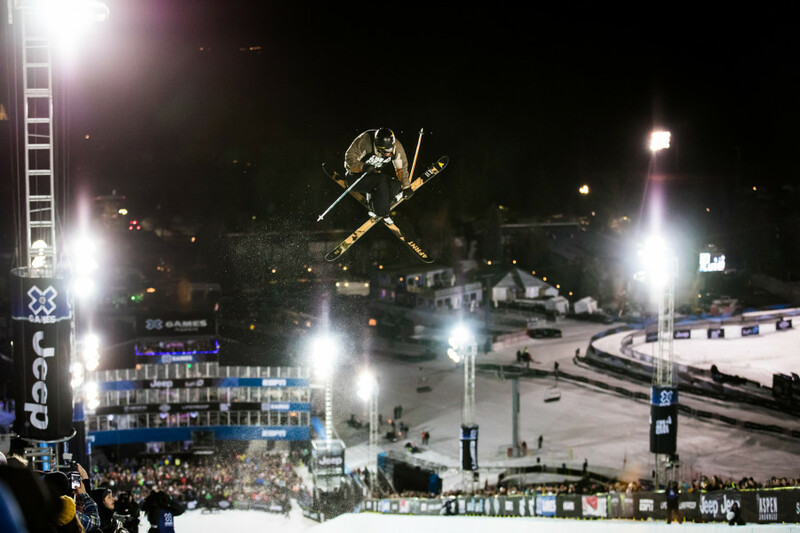 From January 24 to 27, Aspen will be hosting the X Games for the 18th time, watching more than 200 extreme athletes compete. Furthermore, world famous artists, such as Dutch DJ Martin Garrix, will perform at the festival. Another annual highlight is Aspen Gay Ski Week, taking place for the 42nd time from January 13 to 20. Visitors look forward to numerous parties, comedy acts, film screenings, dinner nights, fashion shows, and much more.